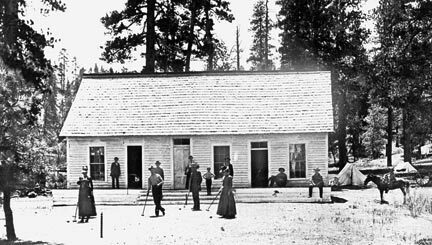 In 1888, just four years after the rock dam was built that created Big Bear Lake, two local Big Bear ranchers, Gus Knight Jr. and John Metcalf built Big Bear’s first resort hotel. Big Bear village didn’t exist yet, and the only two roads into the valley should have been called trails. 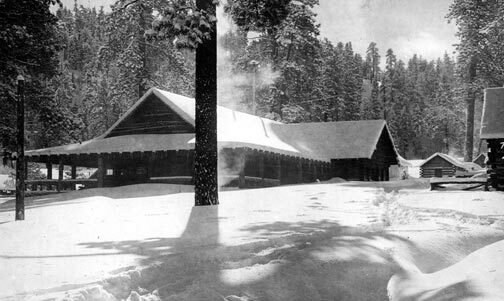 In spite of the difficulties involved in getting to Big Bear, the new hotel was booked solid with advance reservations. The little hotel was located on today’s Pine Knot Avenue, and it was strictly a summer time operation. But, it had a monopoly on Big Bear’s tourist trade that lasted until Christmas Eve December 24, 1900, when the hotel mysteriously caught fire and burned to the ground. The hotel had been closed for the winter, and the cause of the fire was never determined. Since there were no other resorts in the valley, Big Bear’s resort industry was wiped out overnight. Here are a few photos of that early resort. 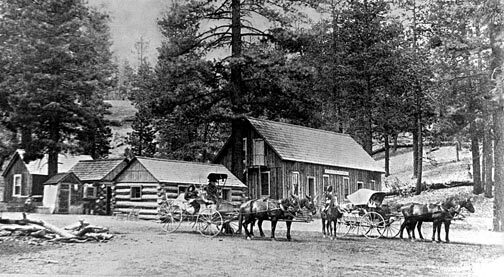 This is the Bear Valley Hotel in 1889, just one year after it opened. – Rick Keppler collection. The Bear Valley Hotel 1889. – Rick Keppler Collection. The Bear Valey Hotel in the mid 1890’s. By now it had been renamed Knight’s Hotel. – Rick Keppler Collection. This hotel went through several name changes during it’s short but successful twelve year existence. It started out as the Bear Valley Hotel, then it was Knight’s Hotel. In it’s last years it was called the Bear Valley Resort. The photo below is of a promotional brochure from the hotel’s later years. 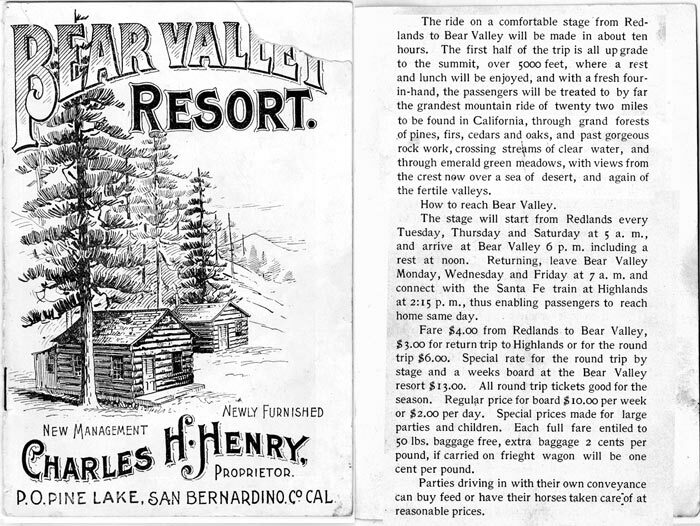 According to this brochure, a trip to Big Bear Lake from the bottom of the hill took about eleven hours. – Rick Keppler Collection. The success of Knight’s Bear Valley Hotel had been noted by the board of directors of the water company that owned the lake. 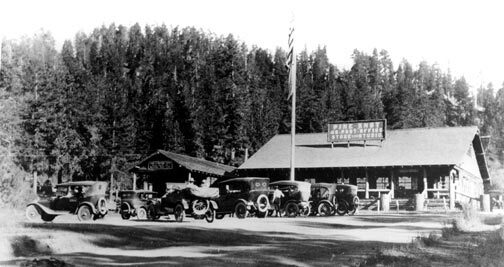 As a result in 1906, a group of wealthy investors, which included Bear Valley Mutual Water Company directors Herbert Garstin and William Glass, got together and formed a syndicate to purchase what was left of the old Bear Valley Hotel property. Claiming to have almost unlimited financial resources, they proceeded built a huge first class resort. 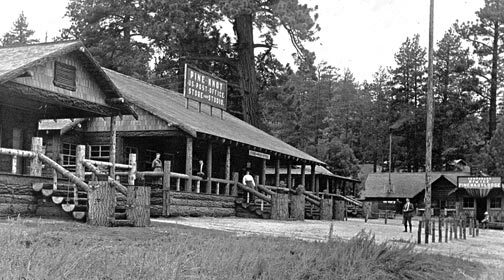 It was called the Pine Knot Lodge, and it was the center of the Big Bear Lake community in the early 1900’s. Check out the article entitled Lodges and Tourism for more on this story. Here are some photos of that early resort. 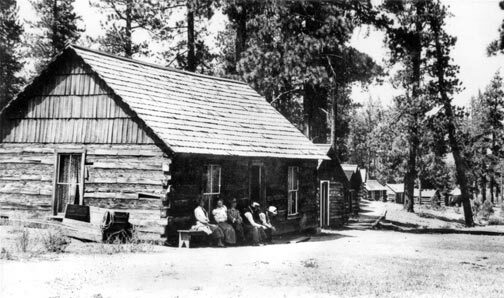 The Pine Knot Lodge as it looked in the 1920’s. – Rick Keppler Collection. 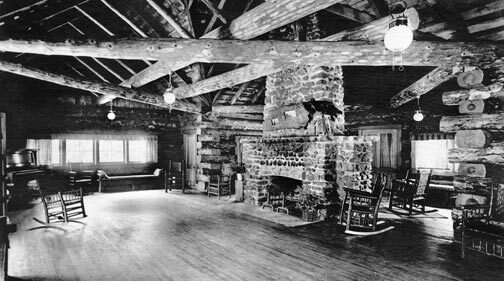 The interior of the main pavilion at Pine Knot Lodge. Notice the gas lamps hanging from the ceiling. This photo was taken years before Big Bear had electricity. – Rick Keppler Collection. Manager Fred “Dad” Skinner worked overtime promoting Big Bear and the lodge with the movie industry. 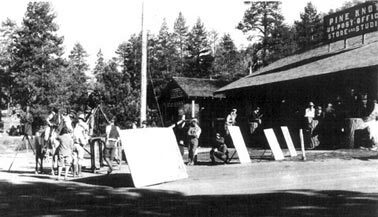 This photo shows an early western being filmed in front of the main pavilion. – Rick Keppler Collection. A busy weekend in Big Bear Lake during the 1920’s. The building on the far left is headquarters of the Mountain Auto Line which provided stage service to Big Bear. – Rick Keppler Collection. 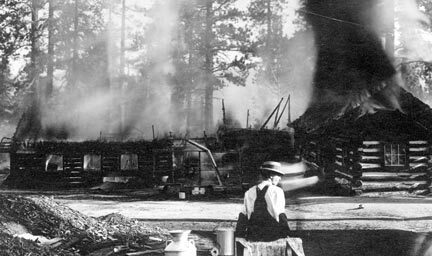 This photo taken in 1917, shows the main offices and dining hall of Pine Knot Lodge being consumed by flame. Big Bear didn’t have a fire department. All they could do was watch it burn. If the fire had spread it could easily have destroyed the whole community. – Rick Keppler Collection.